When it comes to plumbing contractors in Lakeland, there isn’t anything we can’t handle. 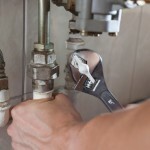 Pipes, drains, toilets, water heaters – when it comes to plumbing contractors, there isn’t anything we can’t handle at A Step Above Plumbing Inc. We have been providing plumbing services for residential and commercial properties since 2003, and we know our high-quality service speaks for itself. Whether you need a plumbing contractor to fix a leaking toilet at your home or you have a major pipe repair at your commercial business in Lakeland, Florida, our team is equipped to handle the job. At A Step Above Plumbing Inc., we believe in doing the job right the first time, so you feel confident your plumbing systems are in the best shape. While many plumbing contractors provide residential and commercial services, our quality workmanship is what keeps our customers coming back over and over for all their plumbing needs. In fact, you can rely on us to show up when you need us most, and we’ll work to ensure your satisfaction regardless of how big or small the job may be. We want to make sure you can trust us to do the best plumbing job possible every time you call. If you are looking at plumbing contractors in Lakeland and can’t decide where to turn, simply call us at A Step Above Plumbing Inc. We know once you’ve chosen our professional team for the job, you won’t need to look anywhere else for any of your plumbing needs. Contact us today to schedule your service or to learn more about how we can assist you at your home or commercial business.